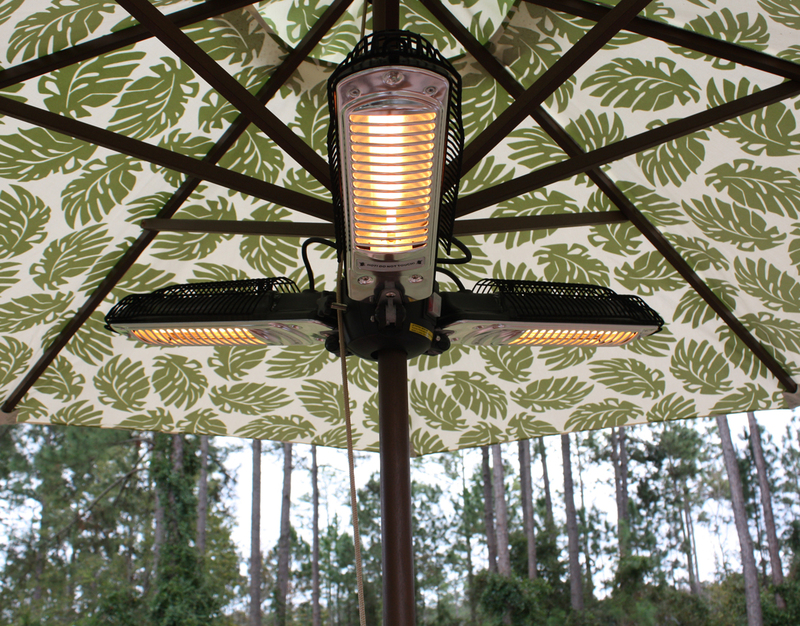 The Island Umbrella Halogen Outdoor Patio Heater provides one of the most unique and thoughtful designs in outdoor heating. 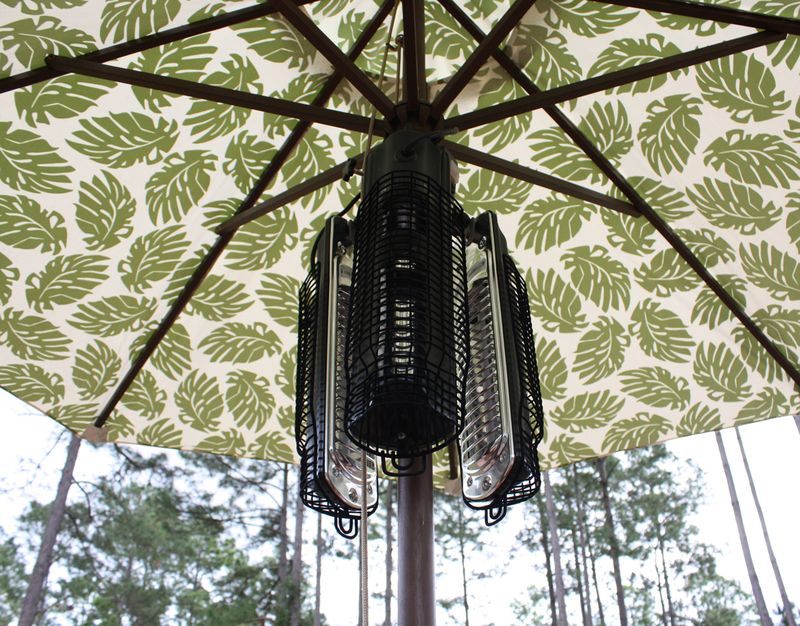 Attaching to nearly any umbrella pole outside, this piece provides three separate heaters to insure a full circle of heating without any cold spots for your guests and family. Constructed from steel, this piece is built to last against outdoor elements. The three heaters each provide 500 Watts of heating power in a full circle range around this piece. Instant start up time, with next to no wait for warmth.